This is Lord Sananda speaking. Tonight is a very special night. You are at the end of a cycle of January and moving into a cycle of February. So what we would like to assist you with this evening is to allow the frequency that is flowing within you and around you to be fully balanced. We also want to prepare you for the new energies that are going to be coming in. Christine, is correct, the February energies are going to be more heart-centered as you allow yourself to fully balance the frequencies of your Heart, within your Male and Female, as this is becoming stronger every month, every day, every moment in the frequency of All That Is which is part of whom you are. As we are in this frequency of love, we want to assist you with any debris that needs to be removed. We want you to take a deep breath and within the breath we want you to think about this January, the first month of this new year of 2011 and what it has been to you. We want you to go into your Mental thoughts and go into your Emotional thoughts and allow them to be fully released of any aspects of yourself that have not been taken care of, that you no longer want to hold onto. As we do that, we bring forth to you the Golden Flame, first into the Emotional level; we want to bring it into the left side of your body. Allow the emotional level to be fully free and clear; ready to be attuned to a higher frequency. As you will be in preparation for the new energies, that are about to come forward in a few days. Think of your feelings, think about emotions, sadness, happiness, joyfulness, blissfulness – do you have more of a balance. Did you have issues within you that were staying too long? So let’s just breathe in that Golden energy; feel it centering within the left side of your body, feel it centering within your Heart area on the left side. Let’s only bring in the joy, blissfulness, and serenity along with the nurturing you need along with the acceptance of who you are. Allow that to be on the left side. Feel vibrancy within the left side and now we move into the right side of your Being, as we connect with the Male energy, the thought forms, the logic, the merry-go-round of the mind. What is that male side telling you right now? What is it that you need to let go of? Have there been any thoughts going around within your Being that have not been fully balanced? Possibly you have thoughts in your Mental level that were emotions of the past and seem to be surfacing. Allow this side of your body to be fully embraced with the Golden Flame. 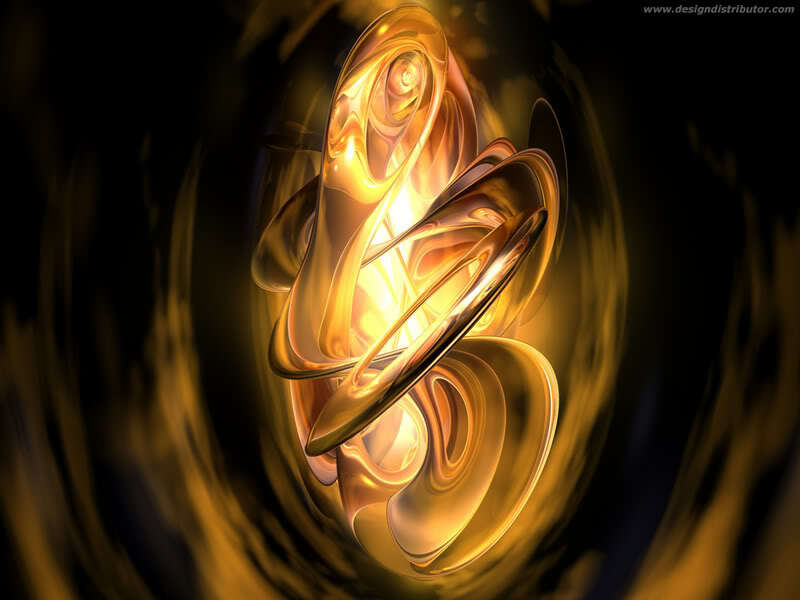 The Golden Flame will ignite it, remove it, and activate it all at the same time of the higher frequency. Allow the Male frequency to be fully activated. How do your shoulders and the shoulder-blades feel with this energy? Both should be at the same level at this point. Breathe deeply within that. Allow the Golden Flame to go across your Heart to create a bridge between both as the Emotional and Mental levels come together in unison. Breathe deeply through that element. Right now we want everyone to be an open vessel to receive the attunement from the Cosmic Great Central Sun, and this is what we are doing right now. We are clearing all the attitudes and thoughts. Let’s take a moment and breathe into that as we have a moment of Silence and put your intentions out of what you would like to receive this evening in preparation for the new energies coming in to you. Feel that coming within you as we express onto each other the essence of purity and love that we are. I AM Lord Sananda, at your service. Thank You. I AM the Cosmic Great Central Sun at your service of the Divine Mother and the Divine Father God. Welcome to this space. Welcome within your Heart as you receive; as there is nothing impeding the process of your Divinity. Allow yourself to just surrender to the moment of this frequency of Light. Allow yourself to be in the presence of your Heart, of the Will and Strength and the Love of the Heart together as the Male and the Female are now One. Embrace this moment. Embrace the moment of Divinity that You Are. In the process of the experience of your integration of the Divine Complement that is now coming forth as we come into the new month of Heart Centeredness. The Heart Centeredness of having the strength and the beauty of the Male and the Female coming together which creates the balance that is occurring that is within each of you. This previous month has been preparing you for this fact. If you have not realized you have been prepared, now you are going to get a little surprise; and those of you that Know you have been prepared, because of what you have been experiencing and accepting into your lives, you will start to see the changes enfold within your present circumstance. So right in these moments, of this evening, we truly want to assist you in accepting the Divinity that is occurring because these little miracles are going to pile up and get better, get better and better. There may be infractions of lower aspects within there at the same time, and this is for you to wake up and look. Wake up and look to see what is occurring within you, and how you can change the Divinity of your Expression. The Divinity of your Expression is the ability to fully accept the processes that are occurring within your Body, your Mind, and your Spirit. You are formulating your pathway; you are formulating your lives. You are allowing yourself to fully accept the changes that you have been working through and working towards because this is the year that it is going to become more active than it ever has before. So if you just envision yourself to stand out onto the Ocean. See yourself standing on the beach, on the sand, and you have your hands wide open, the sun is shining brightly the sky is bright blue, the water is blue-green; it is calm as a lake and the beauty of the essence of your Divinity is fully being mirrored onto the land, onto the nature, onto all that you are, and allow this expression that you are feeling right now to fully be within your body, within your mind, within your emotions; your full body system that has now been activated with Lord Sananda. Allow that full body system to vibrate, not in its separate components, but in the existence of ALL. The existence of the frequency of allowing the essence that you have brought forth within you to be fully embodied of who you are. Allow yourself to feel that now. Take a deep breath. We are going to send you rays upon rays of frequency. We are going to center upon the Silvery colors of Blue, very light Blue, Electric Blue; the frequency of these Blues to bring forth the essence of Divinity within you. We want you to feel as if it is an essence of an electrical storm but not the overpowering energy of an electrical storm. Feel these waves of light, of the Blue and Silver coming towards you and flowing around you. Allowing these streams of light as you envision them as wires of light. As they come around you, you slowly start to feel a little spark. They come across your body; one goes to the left and one to the right as they swirl around you. You feel your Light Body expanding. You feel the expansion of the beauty That You Are as this frequency of Light is preparing you to open yourself up into a new level of existence. This new level of existence is working in the balance of your Heart not one side or the other. It is working in the essence of your core being full ready to receive because there is NO DEBRIS to stop it. There is nothing in this moment that is going to stop this frequency from coming into you and create your life circumstance as you need to be in these moments. Breathe deeply as these energies come through to you, because you are being embodied with your Divinity right now. This is an aspect that is coming from your I AM Presence into your Light Body to assist you in the process in your journey and what your journey means in your life situation. Allow that to come into you Now. FEEL THIS NOW, FEEL THIS ENERGY COMING INTO YOUR SOLAR PLEXUS, FEEL IT COMING INTO YOUR HEART, FEEL IT COMING INTO YOUR THYMUS, FEEL IT COMING INTO YOUR THROAT, YOUR CROWN, YOUR LOWER CHAKRAS, YOUR WHOLE ENTIRE BEING FROM YOUR FEET TO YOUR HEAD, YOUR CROWN, YOUR SOUL STAR AND YOUR EARTH STAR. NOW FEEL THIS FREQUENCY EXPANDING TO A NEW LEVEL THAT YOU NEVER EXPERIENCED AND LET’S TAKE A DEEP BREATH. TAKE A DEEP BREATH AND FEEL WHAT IT IS YOU ARE GOING TO EXPRESS AND SAY WITHIN YOUR MIND OR OUT LOUD IN THIS MOMENT. And allow that to vibrate into your Solar Plexus as it is your Strength, your Will, your Power and this is your Power House. Allow those emotions in the Solar Plexus to reflect what it is that you desire. What is it that you desire this week for preparation for the next week? Allow the new beginnings to occur. New beginnings are coming to you and as you look out upon the shore into the water, you see the Dolphins and the Whales as they are expressing their love in Unison. As the Universe is coming together, as everything is coming together to accept the Divinity That You Are. Embrace this; embrace these aspects within yourself to fully feel your essence as you have never felt it before. Allow it fully to come down and ground it into your Earth Star. Ground it into Gaia and let her feel the expression of you. Let her feel the essence that is you that beauty that is you. The acceptance that is about to enfold within your life circumstance. Breathe deeply. We, of the Divine Mother and Father God of the Cosmic Great Central Sun, embellish this upon you. We embrace you as we are all One ~ being the Divinity of your lives changing greatly ~ To assist the planet, to assist the beauty that you are. See yourself back within your body; away from the beach but take that memory of what you have experienced upon the shore and reflect upon that as the water moves within the tides, so does everything that you are going through. Let’s now bring forth that bliss, joy, acceptance, and experiences within your Heart to be more fully balanced than you ever had before. Now is the time of the rebirth; now is the time of the Love and fully expand within your Heart. The Beloveds are coming together; the groups of people are meeting; soul brothers and sisters are finding themselves. Allow the aspects of all that you are to be experienced within your life circumstance now. To be manifested in the physical NOW as we express to you these moments of pleasure. Breathe deeply and allow this activation to be fully within your Being as it has never been previously. We are, the Cosmic Great Central Sun of the Divine Mother and Father God, expressing to you the Cosmic Love Energies onto your Being. Our children, you will expand yourself as we see the expansion growing quickly every moment that we watch over you. In the Name of the Holy God of Hosts we are the Divine Mother and Father God at your service. HALLELUJAH, it is coming to the Earth. You are Ones that are sharing it; You are the Ones that are showing it; You Are the Ones that are expressing it. This is Lord Sananda. Take a deep breath and allow this frequency to be fully in your full body structure. Allow yourself to fully think of these elements as it is occurring in this moment. Reflect once again upon your desire and your intent and it shall be. It is my pleasure to be here as the Spokesperson of the Christ Consciousness to fully embrace each of you as you are doing so much more that we ever thought you could.